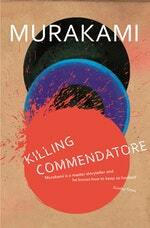 Killing Commendatore, the new novel from Haruki Marukami, is a profound engagement with art and its creation. With this in mind, we are inviting fans of Murakami to create a piece of static visual artwork inspired by the works of this internationally bestselling author. 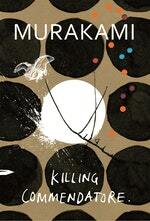 Entries may address a theme, a motif, a title or whatever else inspires, so long as the entry represents the work of Murakami. To enter the competition, upload the artwork to your Instagram with a caption about how it is inspired by the works of Murakami, and tag @penguinbookaus and #murakamiartcomp. Entrants must have their profile on public to enter, as we will not be able to see entries from private profiles. The winning entry will receive $1,000 in cash and have their artwork featured in Penguin Books Australia’s quarterly street press magazine Underline. The competition launches on 10 October 2018 and closes on 31 October 2018. A shortlist will be chosen by Penguin Random House Australia and announced on 7 November. The winner – chosen by Suzanne Dean, Creative Director at Vintage Books, Penguin Random House UK, and designer of the Killing Commendatore cover – will be announced 14 November 2018. Competition opens 10 October 2018. Competition closes 31 October 2018. Shortlist announced 7 November 2018. Winner announced 14 November 2018.